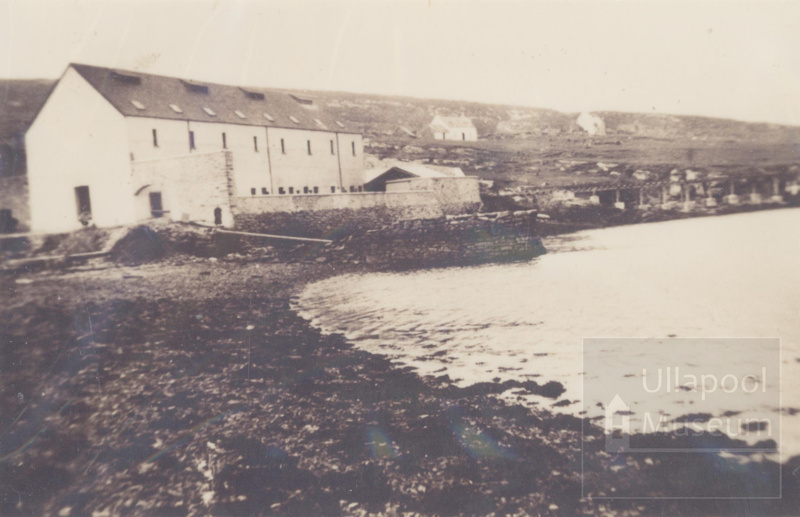 About this objectFlour mill, railway and other houses - Isle Martin. Operated 1930s to 1940s by Commander Vyner - owner of Isle Martin - in the original herring station buildings which were build in 1700s. There was a light railway running from the jetty to the mill. The mill provided employment for local workers, who were ferried across to Isle Martin from Ullapool. The railway was removed after the mill closed down.